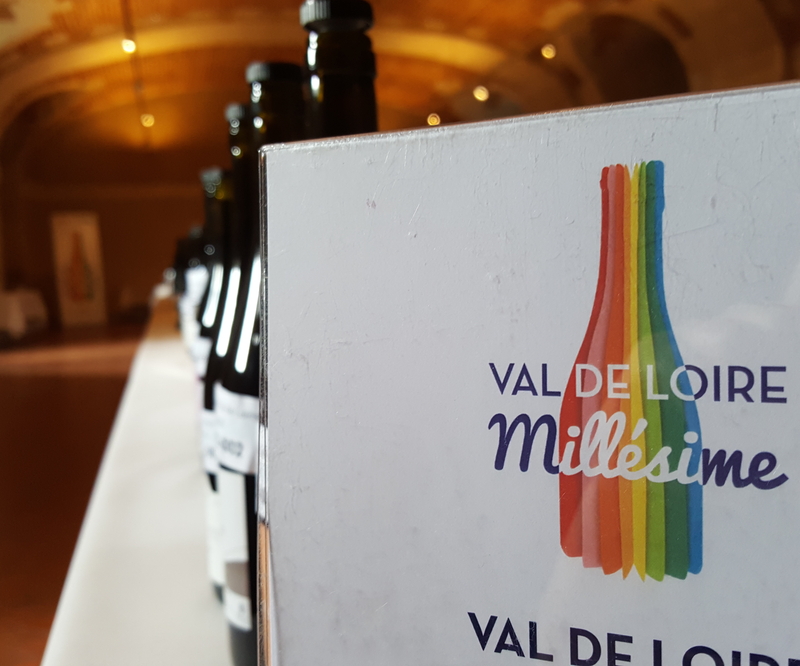 VAL DE LOIRE MILLESIME 2018: FOLLOW THE GUIDE! From April 22nd to 25th, 2018 it's in Touraine that it's happening! Cape to the east, in the heart of the city of Blois, where Val de Loire Millésime (#valdeloiremillesime) takes place. This big event welcomes 66 journalists from the international press as an extension of the Loire Valley Wines competition. A unique opportunity to discover the latest vintages and the exceptional diversity of Loire Valley wines in the heart of their region, and meet the winemakers and merchants of the Loire Valley. 3 days to taste wines of the last vintages for sale and discovery of the Loire Valley vineyards? This is indeed the chance that journalists from 21 differents nationalities meet in the heart of the easternmost region of the vineyard: Touraine. We propose to live or relive this event day by day. For that follow the guide! After a few hours of travel, our journalists can finally put their bags. They are greeted by the president of InterLoire, Jean-Martin DUTOUR, around an aperitif. An appetizer before discovering the different expressions of the emblematic grape of the Loire, Chenin, in agreement with tasty dishes. 19 appellations, 90 vintages and about thirty winegrowers feasted the guests of the evening. To start this first day, journalists are invited to discover the new vintage through a free tasting and a dedicated masterclass. In the afternoon, the Loire Valley pink wines are in the spotlight. Rosé-d'anjou, rosé-de-loire and cabernet-d'anjou, 3 AOC, 3 styles and different balances shelled during a thematic masterclass. For the second evening of #valdeloiremillesime, head for the majestic and no less impressive Chateau de Chambord where all "The perfumes of Touraine" will express themselves. Today, the day opens with a 100% Sauvignon masterclass and a free tasting of Val de Loire wines for the 2015 and 2016 vintages. In the afternoon, it's time for the first discovery visit workshops. While a group of journalists is oriented towards the terroirs of the confidential AOC touraine-oisly, the other group goes between vines and troglodyte cellars, on the lands of the vouvray appellation. Discover the typical soil of these two AOCs and tastings in the company of winemakers. The evening continues on the heights of the Moncontour castle to admire a panorama between the Loire and vineyard impressive and taste Loire Valley wines under background of jazzy music and sunset. The evening ended with a crémant-de-loire and fireworks pairing! After two days rich in discoveries, the journalists' palates begin their last straight line. Sharpened more than ever, they are ready to welcome the red wines of Saumur during the masterclass and the muscadet wines during the thematic tasting. A morning in red and white then, which extends in the vineyard, to the castle of Chenonceau for some and aboard 2CV to discover the vineyards of Touraine overlooking the Loire for others. To close this great press trip, the journalists are invited for an evening to meet winegrowers and merchants settled for less than 5 years. The opportunity for beautiful meetings and tasty tastings in the castle which will, for sure, seen all the colors! A very beautiful edition of Val de Loire Millésime which ends.